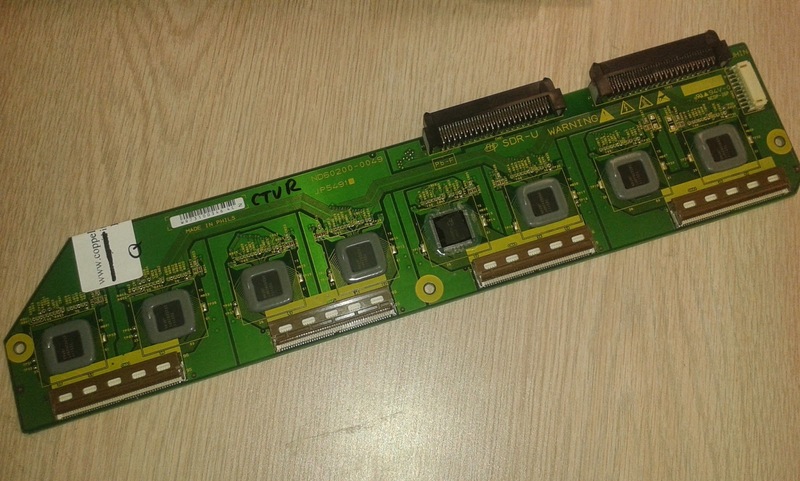 A TV service center and regular customer of ours asked us if we can repair Hitachi ND60200-0049 / JP5491 SDR-U buffer board with burned IC. They have found us through a mistake in our listing for ND6020-0047 where we had somehow typed 0049 instead of 0047 and Google has indexed it. The pair of buffers SDR-U ND60200-0047 and SDR-D ND60200-0048 are indeed very similar to the ND60200-0049 and ND60200-0050 from an electrical and functional standpoint, but the mechanical differences make them totally incompatible. As a rule of thumb we do not take repairs for boards that we can't test in the shop (how else we could claim we've fixed the board and ask to be paid for it?! ), but the customer persisted and we considered taking the risk after first explaining it to the customer. After all, the register ICs used by both boards are the same, the electrical wiring is the same and after having done well over 200 repairs on ND60200-0047 and ND60200-0048 with last problem do-not-even-remember-how-long-ago it seemed a somewhat acceptable risk. Below are the pictures we've taken from the process of the repair along with a few notes; most or all of this information can probably be found on Internet; Hitachi's own website, like most other Japanese companies, is an excellent reference source. There was one IC visually burned on the buffer board and unfortunately we've taken it off before we started making pictures, so you wouldn't be able to see it. 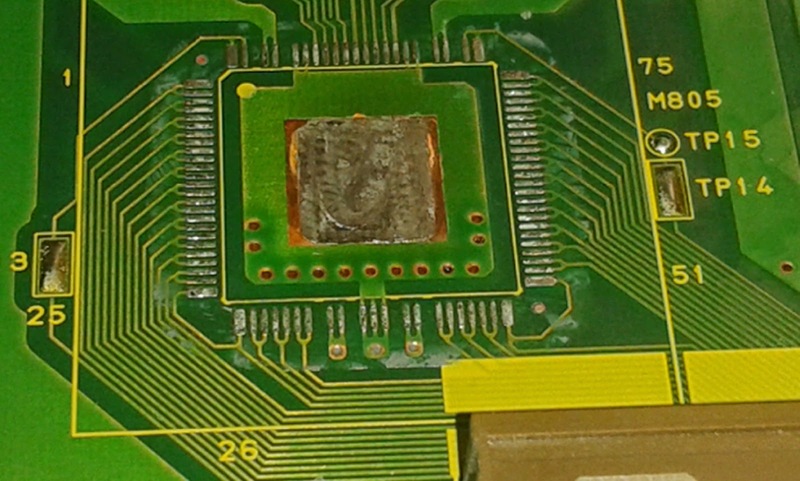 1) A picture of ND60200-0049 / JP5491 after taking the burned IC and cleaning around. 2) An up-close picture of the pad for the IC. The picture is of awfully good quality showing the cleanup could have been better. For sake of business prosperity please imagine that if you send your board or are getting an already serviced board from us it would be better cleaned. Not that it would make any functional difference, but it would show style which we definitely possess, only forgot to take with us to work today. 3) Top-level picture of the IC already soldered and baked in place. Baking is needed to get rid of the flux/acid needed for soldering as well as for soldering the pad at the back of the IC to the board. The first is more important though as it can easily kill the IC after it heats up and the fluid starts moving around. 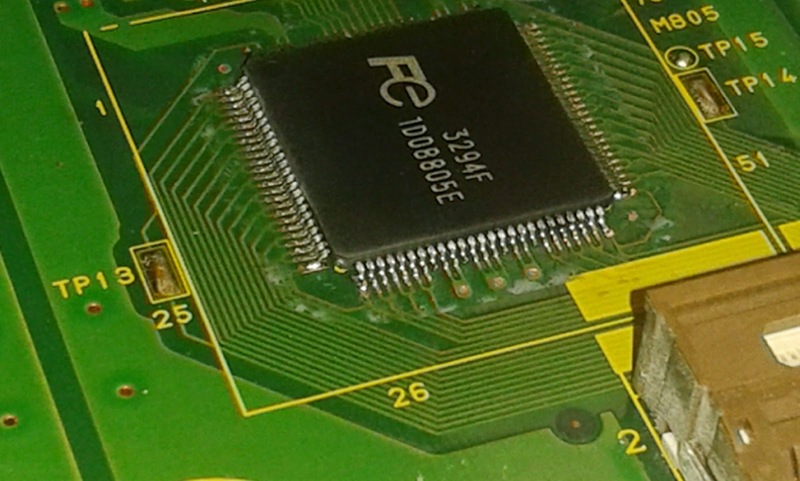 4) Close-up on the replaced IC. 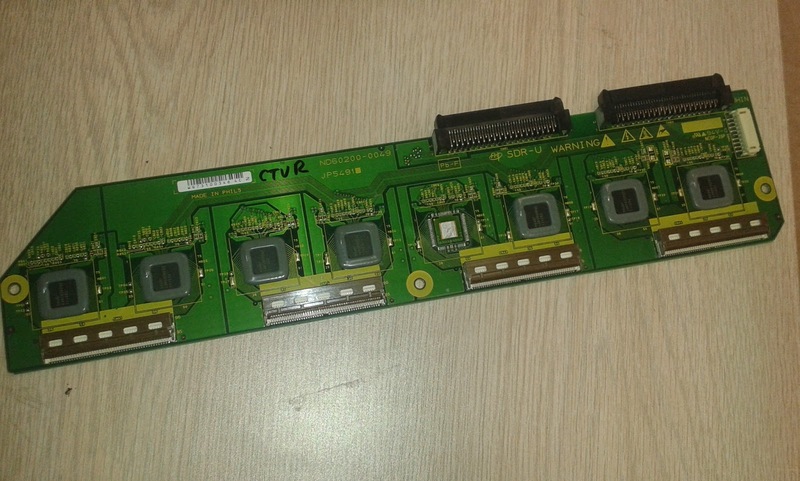 The original ICs on the board are 2A20282AFT as you can see on other pictures. 3294F is a fully functional equivalent and we have used both with success. You can purchase 3294F at our site, but just as a quick reminder - we do not give warranty on components we sell. Oh, as another quick reminder we do not give warranty on servicing boards that we can't test either. Luckily us we do not normally service boards we can't test...but if we do we'll make sure it's with big bold letters and please make an effort to read it! 5) The repaired ND60200-0049 / JP5491 buffer board after the protective silicone was applied. I've heard some techs say they've never used protection after replacing a buffer IC and never had a problem after, but frankly I do not believe it. And it is because - sure enough - I tried it too. It takes time, but it comes back to slap you, much like having too much you-know-what without using protection. Actually that may depend on the board; I've done experiments with buffers with higher density and smaller distance between the legs and , sure enough, dust from air or elsewhere made trouble after some time collecting there and ultimately leading to short circuit by the popular formula High Voltage + Dirty Particles = Trouble. 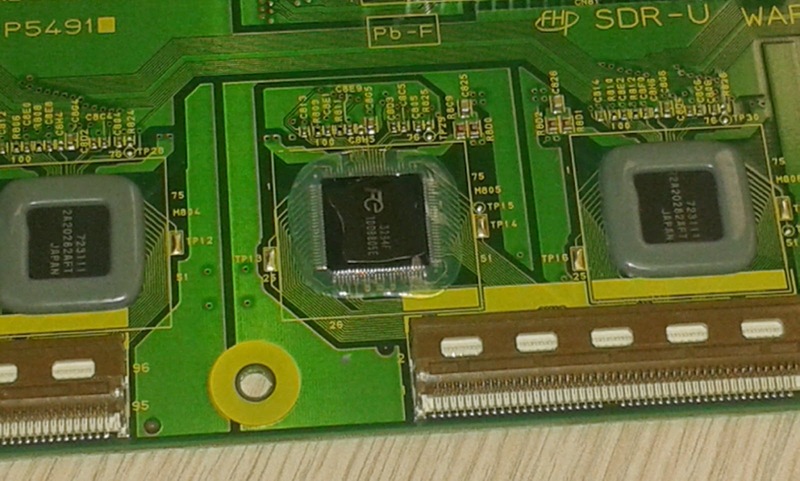 6) Close-up of the IC after applying silicone. It was just applied and stays a bit like a glass now, but will become a little more matte over time, although never as gray as the original one used by Hitachi. We just do not have that one. Also on this picture you can see the two parallel resistors for each of the ICs and the capacitors that's in series with them and which is to be tested for short to determine if the IC is burned. Of course an IC can be bad and the capacitor may not have a shortage, but in our experience that maybe once or twice. 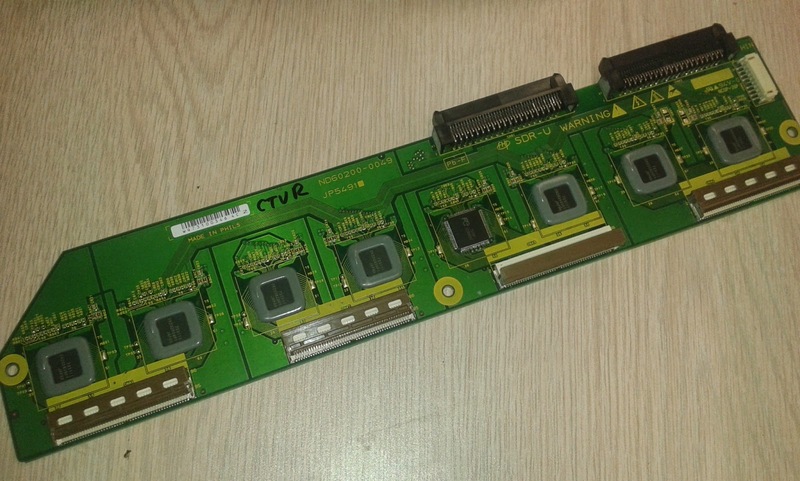 We are charging customer $80 for replacement of up to 3 ICs on the board; above 3 it becomes pretty darn expensive. Should you need us to do the same for you do not hesitate to contact us.